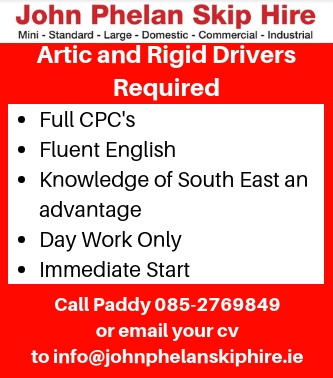 John Phelan Skip Hire has vacancies for Artic and Rigid Drivers. Full CPC's are required and Fluent English essential. A knowledge of the south east is a distinct advantage. Day work only,.